1996 CH Winsdown Cosmos- (Bay Gelding by Carouse) 1996 Texas Futurity Reserve Champion Weanling Colt, Oklahoma Futurity Reserve Champion Weanling Colt. 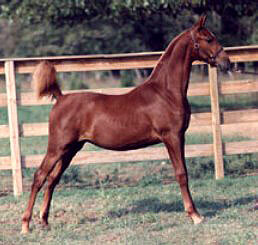 1997 Oklahoma Futurity Champion Yearling Colt. 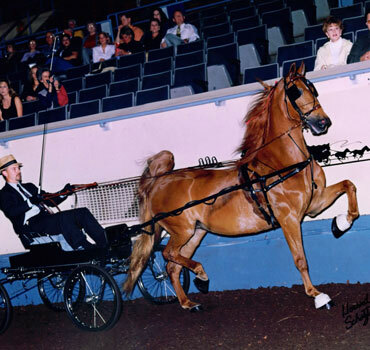 2001 SASHA Open Western Pleasure Champion. 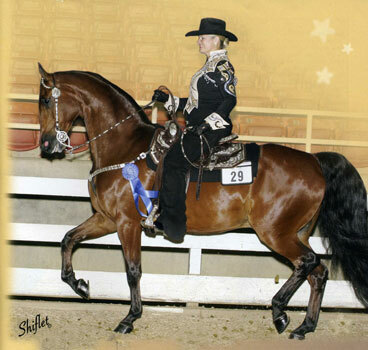 2002 Big D Charity Shatner Western Pleasure Champion, 2002 NTASHA Western Pleasure Champion. 2003 SASHA Country Western Grand Champion. 2003 Texas State Fair Country Western Grand Champion. 2004 SASHA Country Western Grand Champion. 2005 Big D Country Western Reserve Grand Champion and S & B Shatner Western Champion. 2005 St. Louis S & B Shatner Finals Jr. Ex. Reserve Grand Champion and Country Western Jr. Ex. Champion. 2006 Midwest Charity Western Pleasure Grand Champion, Wisconsin Futurity S&B Shatner Champion and St. Louis Western Pleasure Grand Champion. 2007 Great River Benefit Country Western Grand Champion. 2007 Mid-America Country Western and Country Hunt Champion. 2007 Wisconsin Futurity S&B Shatner Champion. 2008 Coffee County Western Grand Champion. 2008 Asheville Invitational Western Grand Champion. 2008 Dixie Cup Western Grand Champion. 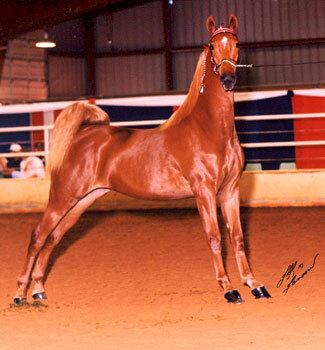 2008 Tampa Western Grand Champion. 2009 The Dixie Cup S&B Shatner Champion. 2009 Southern Spring Premier Country Western Champion. 2009 Country Western Champion. 2010 Dixie Cup County 10 & Under Walk & Trot Champion. 2010 Georgia National Open Western Pleasure Champion. 2010 Harvest Days Country Western Grand Champion. 1997 Winsdown Merchant Iron- (Bay Gelding by Carouse) 1997 Kansas Futurity Weanling Grand Champion and Weanling Colt Champion. 2000 Blue Grey Champion 3 Year Old Fine Harness. 2001 Blue Grey Grand Champion Fine Harness. 2002 Blue Gray Fine Harness Grand Champion & Open Fine Harness Champion. 2003 Blue Gray Fine Harness Reserve Grand Champion. 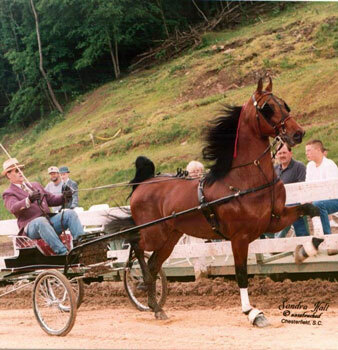 2005 Kentucky Spring Premier Show Pleasure Driving Championship Top 3.